Daily life in China, through the eyes of one Western woman with a Chinese husband from China’s countryside. You know your Chinese New Year holidays have hit a low point when you end up doubled over in the emergency room with an IV drip, praying you won’t vomit. I was raised in the Midwestern US. Yet now I live in China’s countryside with my Chinese husband and his family, where I’ve learned some surprising things. Why my Chinese family wants the foreign daughter-in-law around home + village photos! My Chinese family, including my husband, prefers that I stay around the home here in China. They say it’s for my safety…but it’s for theirs too. Though I still equate the word “invitation” with notice, I’m learning to appreciate the beauty in a sudden invite, like my big uncle’s dinner in China. John’s Grandma has never hugged or kissed me, nor told me she loves me. But these days — and especially after this dinner — I’ve never felt closer to her. It’s March 8 — International Women’s Day — and time for an update to my list of blogs by Western women who love Chinese men! “The feelings between my wife and I were not so harmonious. 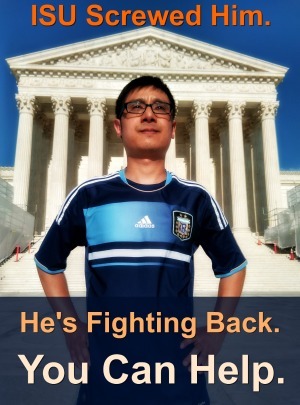 So…we officially divorced.” Our friend Huizhong became another “divorce in China” statistic. Guapa means good-looking in Spanish. It’s also a lovely word to start off a story about an equally lovely couple — Laura, from Spain, and Tony, from China. It’s rather ironic that I didn’t change my maiden name for feminist reasons, but yet this is in line with China’s longstanding tradition. In China, my highly sensitive, introverted side never felt better. Shop Amazon USA/Canada/UK and in Germany. Get social & follow me! 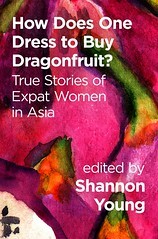 Buy a copy of the fabulous 2014 anthology How Does One Dress to Buy Dragonfruit? and read my essay "Huangshan Honeymoon"! My essay "Red Couplets" is also included in the 2013 China expat travel anthology Unsavory Elements. 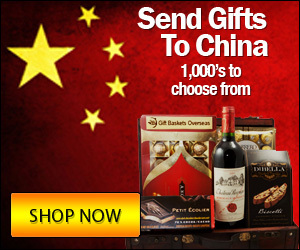 Want to send a gift basket to China? Click here to save 5% on your order from Gift Baskets Overseas. Read our Advertising Disclosure Policy. Speaking of China by Jocelyn Eikenburg is licensed under a Creative Commons Attribution-NonCommercial-NoDerivs 3.0 Unported License. Copyright © 2019 Speaking of China. All rights reserved.